Following a systematic attack on public comment, the Orange County Board of Supervisors triggers a First Amendment lawsuit from the ACLU. It’s the second time in recent years that county supervisors have fumbled taxpayers into court — landing in federal court last year over civil rights violations involving the homeless. Orange County’s five elected supervisors preside over $6 billion in public spending and pressing issues like homelessness, mental health and drug treatment, and how to balance spending between those programs and county jails, the Sheriff’s Department, and District Attorney’s Office. Mohammed Aly refused to stop speaking when his three minutes were up. A sheriff’s deputy threatened to arrest a Voice of OC reporter who was filming Aly and sheriff’s officers when everyone was ordered to leave the board room. County Counsel Leon Page is defending a ban on public commenters addressing supervisors by name, among other the ACLU claims is illegal. In response, ACLU officials say county supervisors will be set straight by the courts if they don’t change their policies. In recent months, Orange County supervisors put tighter and tighter restrictions on speakers who try to address them at public board meetings. The ACLU’s letter is prompting county officials to consider possible policy changes. In her first meeting as the chairwoman of supervisors, Michelle Steel limited speakers to just one minute during the public comment period. This was the latest in a series of moves supervisors have made in recent years to curtail speakers at the board’s public meetings. 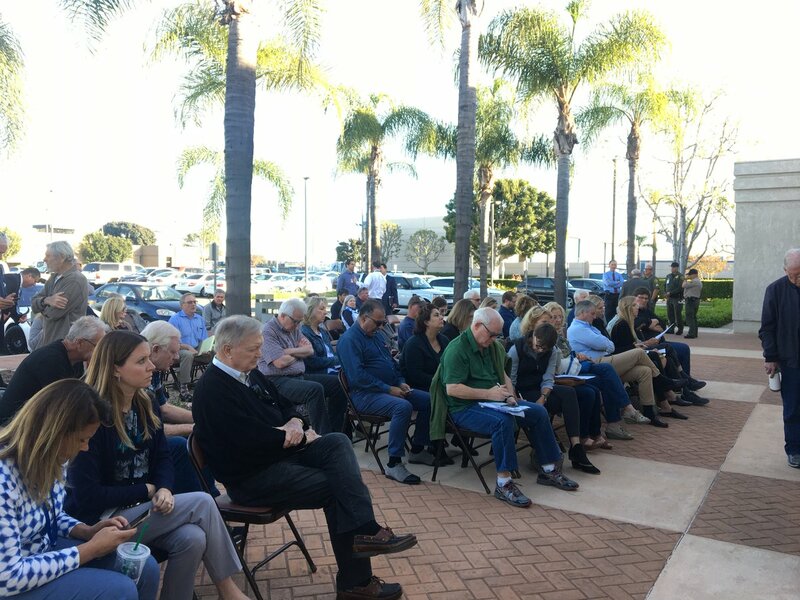 While the citizens of Orange County were casting ballots on Election Day, the county’s elected Board of Supervisors voted to restrict how often and how long people can speak at public meetings.